What is it that this park is missing? Our next destination, as we went vagabonding across the 39th parallel, was one of our country's more unusual national parks. Unusual? We have lots of unusual national parks; they preserve unique natural and historical landmarks all over the place. But what about a park that doesn't preserve what it is named after? A park that sort of won a lottery to get chosen as a park in the first place? 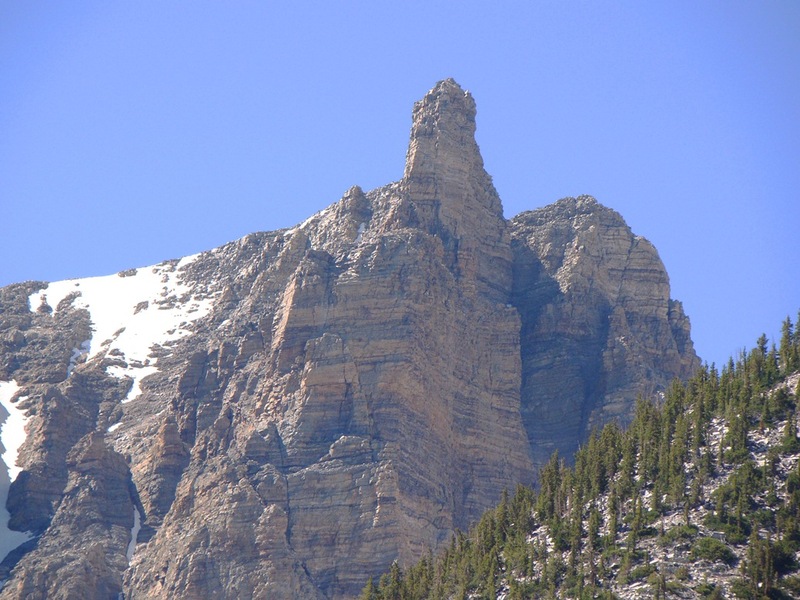 Great Basin National Park has an unusual history. Click on the picture above, and the one below (click a second time to magnify the panorama) to get a sweeping view of one of our newer national parks. My first paragraph is not meant to disparage the park; it is actually one of my favorites, and the park and I go back pretty far in time. I visited the area in 1984, two years before the national park designation was passed by Congress and affirmed by Ronald Reagan (that by itself is a surprise). I've been back 15 or 20 times since then. It has some things that many other national parks lack: solitude and crystal-clear skies. The number of visitors at Yosemite Valley during just three days this last June equals the number of visitors in an entire year at Great Basin. At the beginning, there were more cows in the park on a daily basis than people (that aspect has thankfully changed, however). The park has some intense geology, too. The centerpiece of the park, and the destination for the vast majority of visitors is Lehman Cave. I discussed Lehman a few weeks back, and the self-imposed rules of our trip required us to do different things than normal. One choice would have been to explore one of the other 25 caves in the park but we definitely were not prepared for such an undertaking. There is also a spectacular limestone arch in the southern part of the park, but we just didn't have the time this trip. 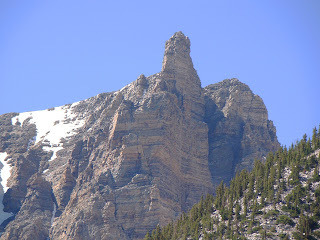 We headed up to the end of the road beneath the cliffs of Wheeler Peak. 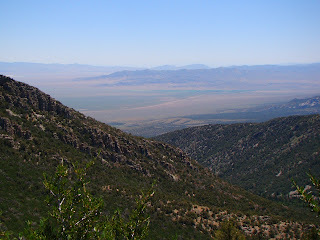 On the way up, we had a marvelous view of the northern part of the Snake Range and Mt. Moriah (12,072 feet). An impressive detachment fault system is exposed on the flanks of the mountain, and is the destination for numerous geology field camp mapping expeditions. There were numerous prickly pear cacti growing along the roadside. 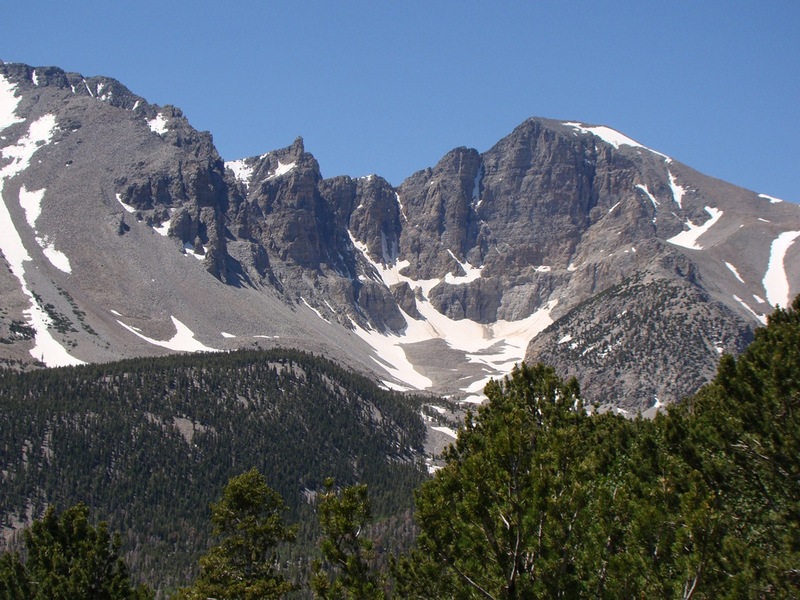 The ecosystem of Great Basin National Park is changing. For more than a century, cattle grazing took place within the area that would become the park. The political compromise that led to the formation of the park included a provision that grazing would continue unimpeded, but eventually an agreement was reached with the grazing leaseholders that removed cows from the park (and gave the ranchers allotments elsewhere). This was a nice change. The first few years, camping was smelly, and one had watch where one stepped. The removal of cows from the park has meant that riparian habitats have begun to recover, and the vegetation cover on the mountain slopes has been changing. 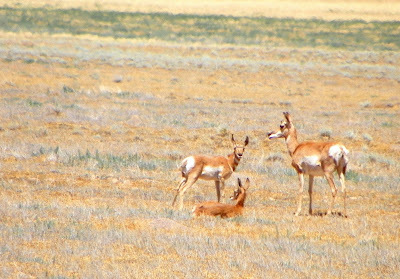 Eventually, the deer, and perhaps bighorn and elk, will become the dominant grazers. I don't know how the cacti will do; they usually thrive in cow landscapes, but I don't know if they compete well in other situations. They sure are pretty when they are blooming! Great Basin has a diverse collection of trees, including spruce, fir and ponderosa that indicate connections with the Rocky Mountains. The Great Basin has other trees that are more characteristic, such as Pinyon Pine, Utah Juniper, and a personal favorite, Mountain Mahogany. Mahogany is barely a tree, really, more like a very woody and tall shrub. But when I am high on a mountainside in the Great Basin, the odor of the mahogany is distinctive, and invariably brings back pleasant memories. The road ends at a small campground and trailhead at about 10,000 feet. 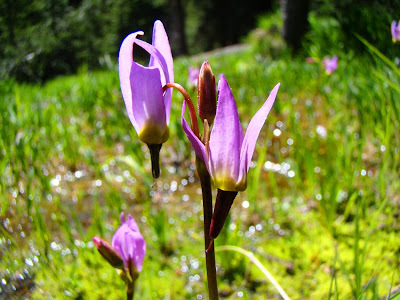 We wandered along the nature trail beneath the high glaciated limestone cliffs and enjoyed the late spring. Snowbanks were still melting and little rivulets were flowing everywhere. 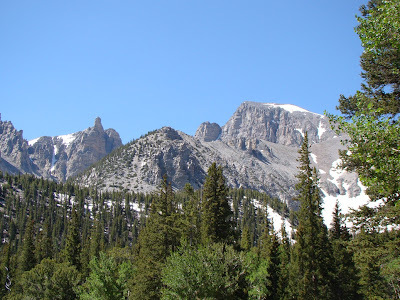 Wheeler Peak (13,063 feet) is the second highest peak in Nevada. Unlike Boundary Peak, which I discussed in the last post, Wheeler is entirely within Nevada, and it is a dominating presence in the region. I think Nevada should just trade Boundary Peak to California for another casino somewhere and celebrate Wheeler as their distinctive mountain. It has a lot of geological personality. We started back down the road, and stopped for a moment at Mather Overlook, at just over 9,000 feet. Mather provides a wonderful perspective of the cirque containing Nevada's only glacier/rock glacier/permanent ice field, depending on how you want to define such things. 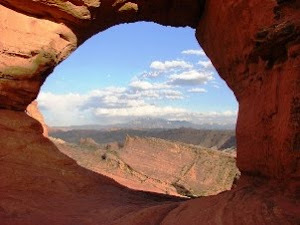 The glacier, the cave, the prominent peak, the arch, they all add up to a unique park that nicely represents Nevada's Basin and Range Province. The only thing it seems to lack one thing: a basin. 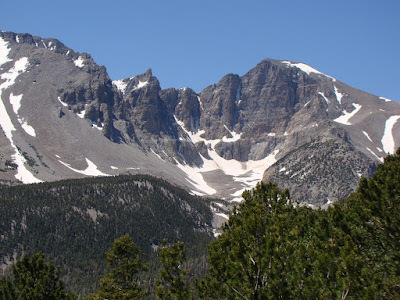 Why call it Great Basin National Park, if it doesn't have a basin? The answer is mildly convoluted, so bear with me. First of all, the "Great Basin" refers to the hydrologic province that covers practically all of Nevada, in which no water flows into the Pacific Ocean. The water from the three hundred or so mountain ranges in the state flows into the adjacent basins and either sinks into the ground or evaporates. 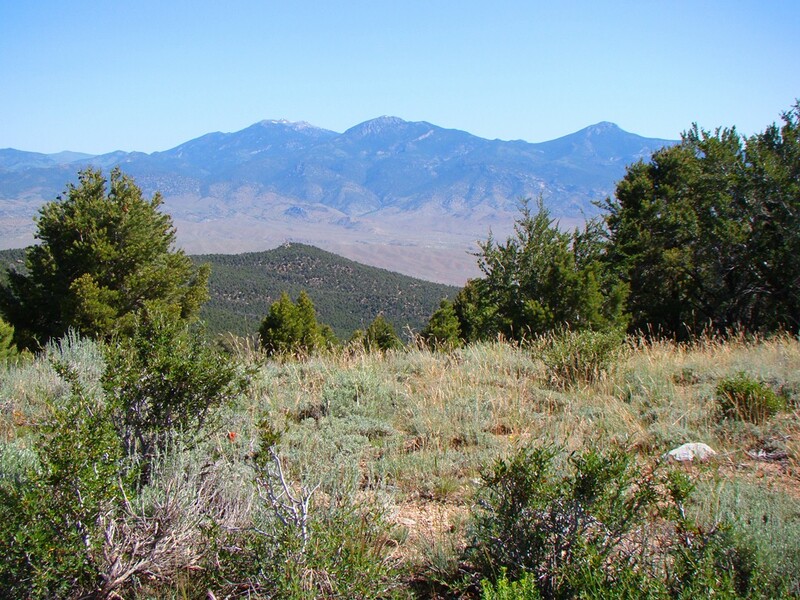 There is no "great basin" as such; Nevada is probably the most mountainous state in the union. The Basin and Range Province covers some of the same territory, but is a much larger landscape that spills over into Utah and Arizona. There was a movement decades ago to designate a park that could represent Nevada's unique landscape. Death Valley National Monument (a monument at the time; today it is a national park) preserved the driest and lowest parts of the province, but Death Valley is in California, and one could not mistake the barren peaks and valleys as being similar to the typical mountains of Nevada. At first, they couldn't quite decide which mountain range should be preserved. 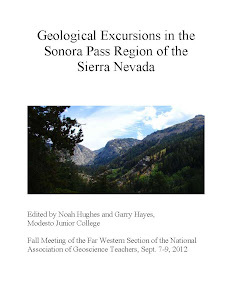 As I understand it, three ranges were finalists: the Toiyabe Range near Austin, the Ruby-East Humbold Range near Wells, and the Snake Range, which was eventually chosen. I think any of these would have been a great choice, and I would even ask: Why not all three? The Ruby-East Humboldt is a high glaciated range with some lakes, and a wildlife refuge on the adjacent lake on the valley floor. 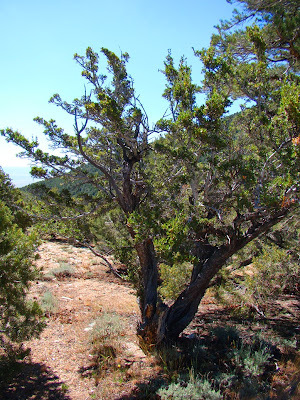 The Toiyabes are more typical of the Basin and Range, in that while very high, there was little in the way of glaciation, and little connection with the Rocky Mountains or Sierra; the forests are primarily pinyon, juniper and mahogany. Both of these mountains are rugged and beautiful. But the Snake Range won out in the end, perhaps because the National Park Service already had a presence with Lehman Cave National Monument. But the new park ended up not having a 'basin' in it. An appropriate park designation would have included the adjacent valley floors and even another mountain range (the Schell Creek range, perhaps) to preserve a complete example of the province. The central focus of Death Valley, for instance, is the valley floor. The original boundaries were much larger, in fact. Because of political realities (an anti-environment president was in office, and the "Sagebrush Rebellion" was in full swing), the proposed boundaries shrank until they were palatable to the Republican legislators (the compromise included the grazing exception as well). Wouldn't it have been nice to see what at least one major valley in Nevada looked like without cattle grazing? Imagine, for instance, what other animals visitors could enjoy. The valley floor would also preserve more cultural features. The remains of the westernmost known Fremont Culture village is found close to Great Basin National Park (the Baker Archaeological Site). 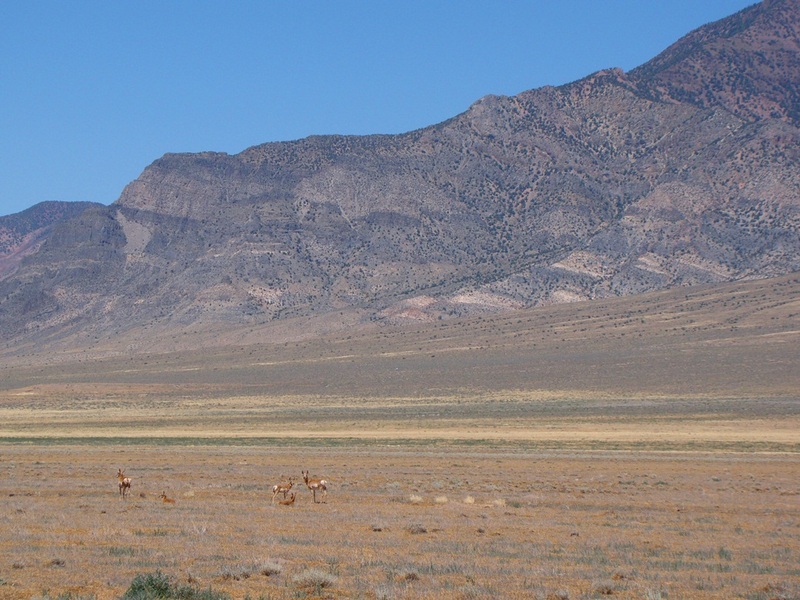 Why isn't this valley part of Great Basin National Park? We were done with our exploration of Great Basin, and we set out on Utah 21 to Milford. In a matter of minutes, we could see a herd of non-cow animals in the distance. We stopped and pulled out the zoom lens. 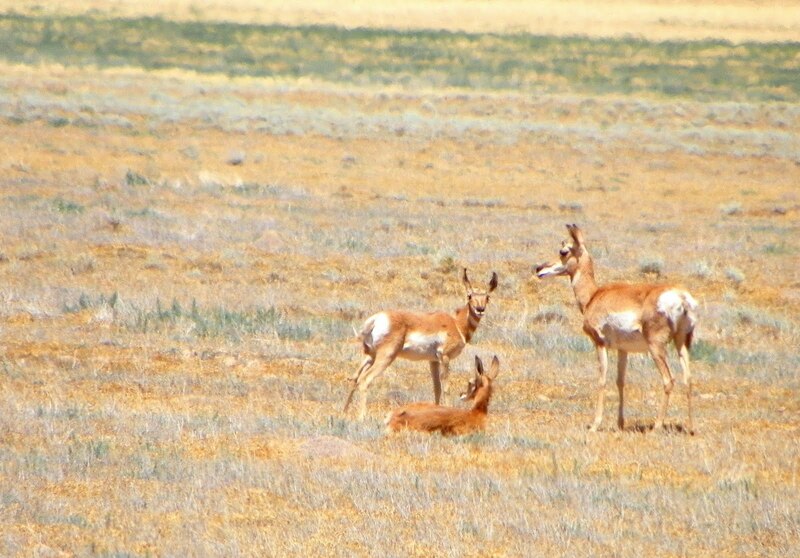 They were pronghorns! It would be so nice if this were part of Great Basin National Park. 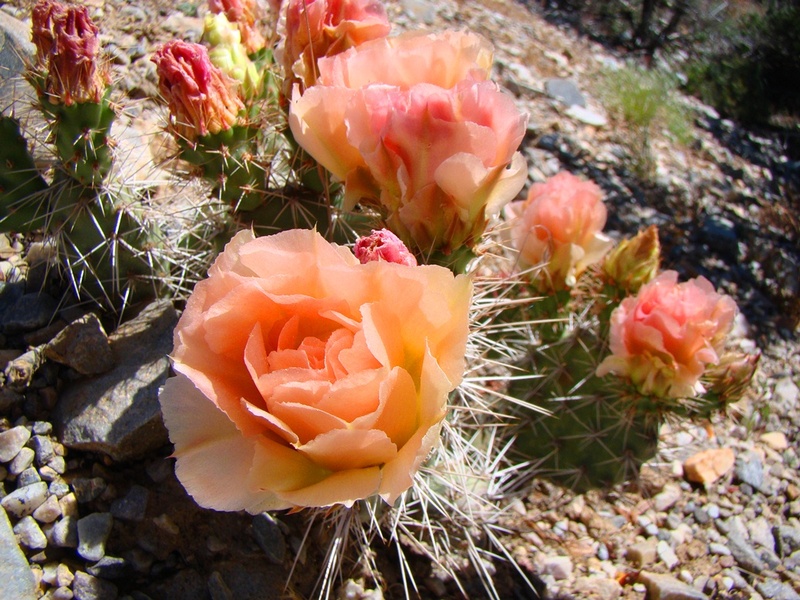 There is value in the barren arid landscape, too. It's part of the complete ecosystem that makes up the Basin and Range Province, and a portion should be preserved. Oh yeah...my title alluded to an "Oh s**t moment in science (I'm still striving, hard, to keep my blog family friendly, but the word is so appropriate here). 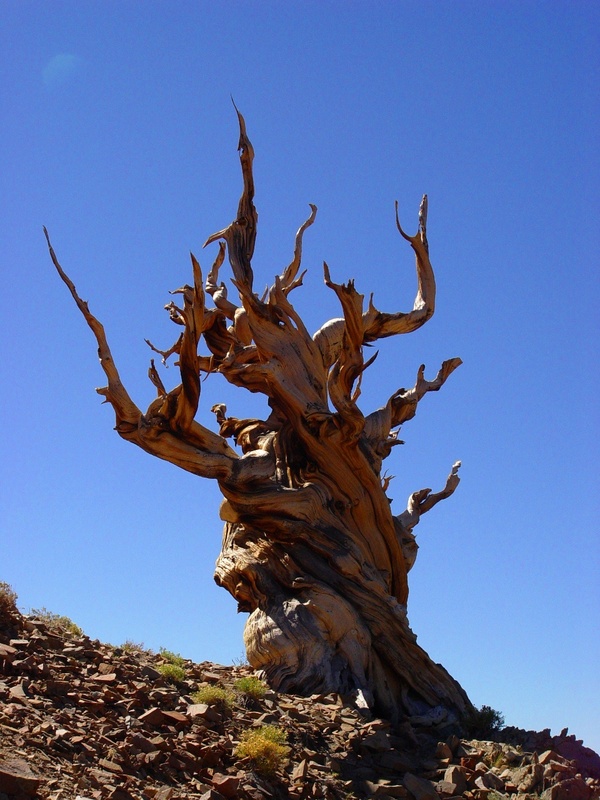 Another wonderful and distinctive aspect to Great Basin National Park are the Bristlecone Pines. These trees cling to life on the highest slopes of Wheeler Peak and other mountains in Basin and Range. They are small trees, and live up here because they can't compete well in lower, warmer climates. But if you want to talk about persistence and tenacity, these trees stand alone. They can live for thousands of years, and a tree in the White Mountains of California has survived for 4,700 years, the oldest non-clonal life form on the planet. The bad moment? Back in the 1960's Donald Curry (a graduate student who went on to a very distinguished academic career) was working on efforts at tree-ring dating and determining the timing of the "Little Ice Age". He was coring bristlecones in what would later become Great Basin National Park. His coring tool broke, and he asked permission to cut down the tree to retrieve the data from the tree rings. The forest service decided the tree was not significant and gave him permission to do so. They cut down the tree, and analyzed the rings. To their abject horror, they discovered they had just killed the oldest living organism on the planet, perhaps several hundred years older than the Methuselah Tree in the White Mountains. What a thing to be remembered for. 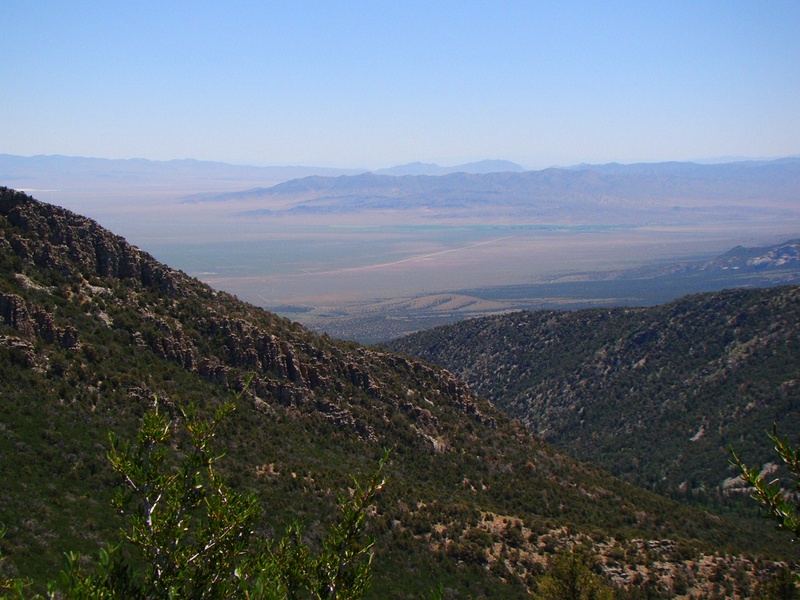 To his credit, Curry advocated for the establishment of Great Basin National Park. A bristlecone snag in the White Mountains. Even after death, the wood may resist decay for thousands of years. When I read your title: "A park without it's namesake" I thought you were talking about Glacier NP. Thanks for writing about Great Basin NP, however. I'll show your pictures to my wife, and see if I can talk her into a family vacation in that direction. She thinks of Nevada as being all like Las Vegas, but without the city.